Small, light, and priced right (but it's also dog slow). Who makes the best high-res DAP? 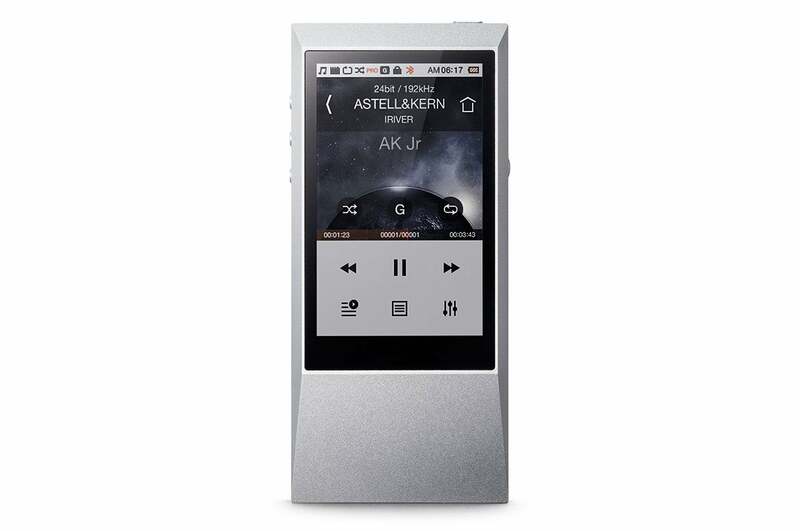 The Astell&Kern AK Jr ($499, available at Amazon) is among the smallest, lightest, and least-expensive high-resolutionolution digital audio players on the market. If it wasn’t plagued by a slow user interface, which Astell&Kern has promised to address via a forthcoming firmware update, it would be an all around first-rate device. What you’re ultimately getting with a portable high-resolution digital audio player—compared to, say, your smartphone, which can also play music—is much higher-quality audio circuitry. With the AK Jr, that starts with a Wolfson WM8740 DAC that’s capable of decoding all the most popular music file formats (AIFF, ALAC, DSD, FLAC, WAV) encoded with up to 24 bits of resolution and at sampling rates as high as 192kHz. Audio purists will want to know that the AK Jr converts DSD files to PCM prior to playback. The Astell&Kern AK Jr (bottom) is the smallest, thinnest, and lightest player in this roundup. 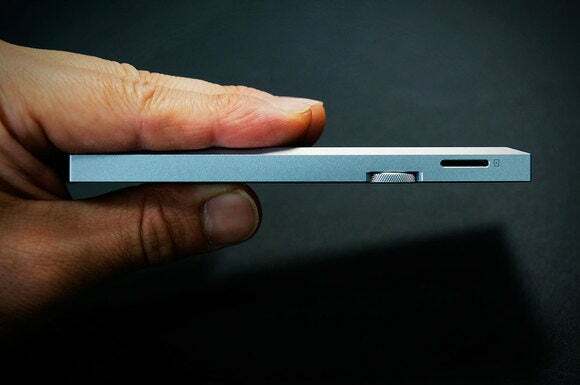 The AK Jr’s aluminum casing feels solid and luxurious in your hand, but it’s not perfect. The bottom corners are very sharp, to the point of being uncomfortable to hold. I let several friends and family members try the AK Jr, and they all complained about the corners. You might grow accustomed to this over several weeks of use, but the only surefire way to solve the problem is to buy one of the $49 AK Jr cases that Astell&Kern sells. In addition to a generous 64GB of onboard storage, the AK Jr has a single microSD slot that can support cards with up to 200GB of capacity. Potential buyers should note, however, that not all 200GB cards are guaranteed to work with the AK Jr. The Questyle and Pioneer players we’re comparing in this roundup have only 32GB of storage, but they also have two microSD card slots, so their storage potential is much higher. 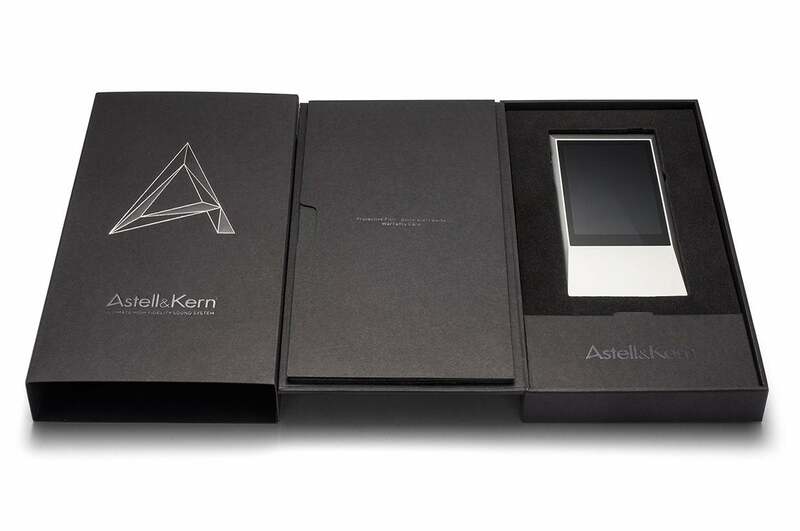 The Astell&Kern AK Jr features a full-color touchscreen display inside a solid aluminum body. While both the AK Jr’s features and user interface are spartan, they are functional and intuitive. The AK Jr sits comfortably in the middle of the players in this roundup. It doesn’t take the everything-plus-the-kitchen-sink approach of the Pioneer, nor does it have the absolute minimalist approach of the Questyle. Overall, I loved using the Jr. I tip my hat to the folks at Astell&Kern because seemingly every contextual icon or option I needed was always available where and when I needed it. Perhaps more importantly, I never felt as though I was being presented with unnecessary options. The AK Jr comes beautifully packaged and complete with a protective film for its screen and a micro-USB cable for charging its battery. The AK Jr features a hybrid of physical and virtual buttons. The AK Jr’s volume-control wheel protrudes from the right side of the player, which makes adjusting the volume easy using the thumb of your right hand or the index finger of your left. Adjusting the volume brings up a large donut circle that bears a strong resemblance to an LP. Increasing the volume moves a circular volume line closer to the circle’s outer edge, while the lowering the volume moves it closer to the center of the circle. Volume is also displayed in large, easy-to-read numbers so you’re always sure about your level. The AK Jr features Bluetooth v4.0, but not the aptX codec that promises CD-quality wireless audio streaming. 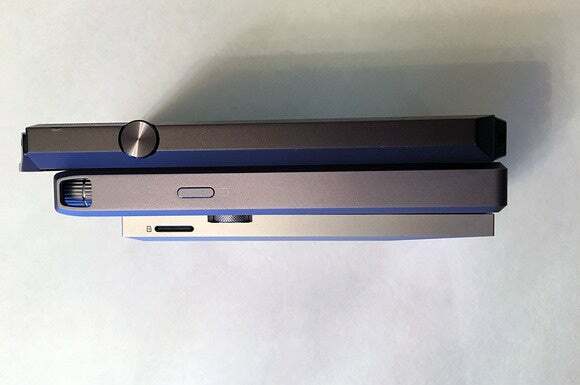 A representative from Astell&Kern told me that the company might include aptX support in a future firmware release. I tested the AK Jr’s Bluetooth wireless functionality with my Bowers & Wilkins P5 Wireless headphones and found pairing to be effortless. There is no Wi-Fi connectivity. 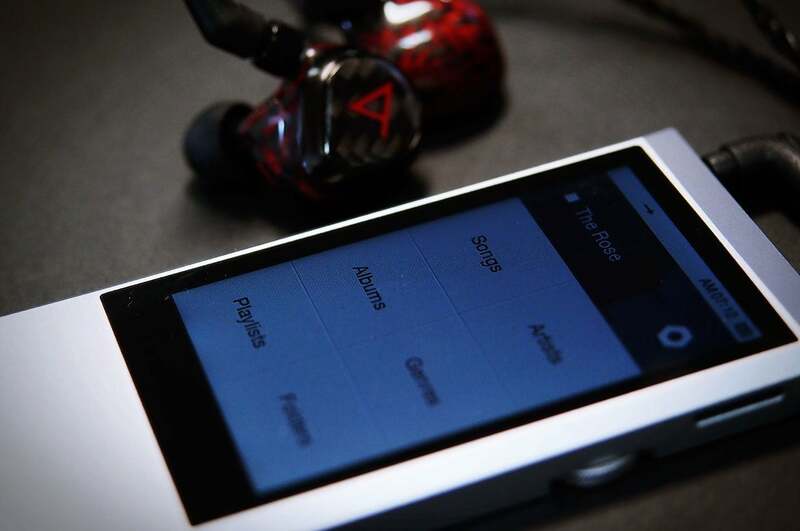 You’ll need to step up to one of Astell&Kern’s more-expensive models to get that feature. The absence of Wi-Fi also means you’re cut off from any of the music-streaming services that don’t support offline playback. 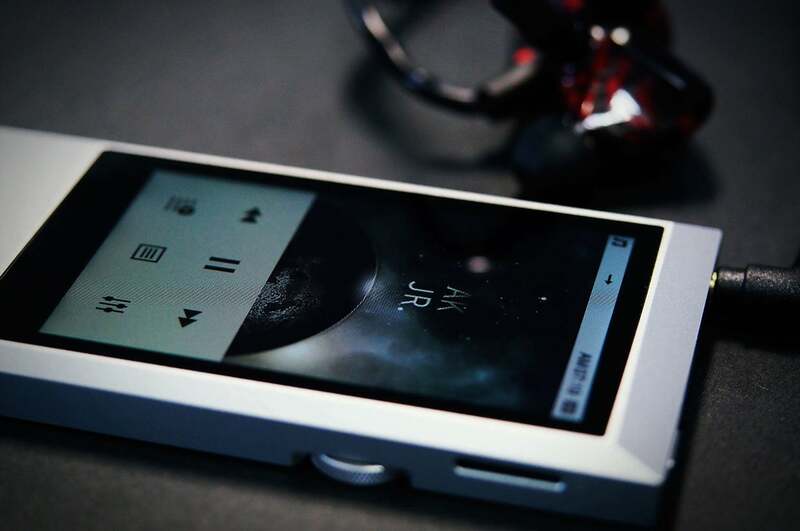 The Astell&Kern Jr is light and thin. 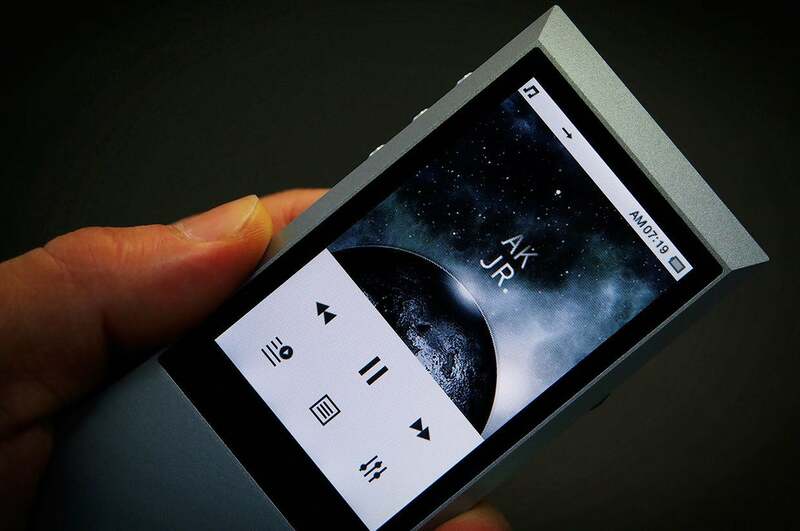 You interact with the AK Jr via its 3.1-inch LCD touchscreen, which is noticeably low-res compared to current smartphones or even Astell&Kern’s other models. But this didn’t bother me as much as the AK Jr’s sluggish response. This can be aggravating when you’re scrolling through a large collection of your songs, albums, or artists, but you’ll also notice it when you perform such mundane operations as adjusting the volume. This isn’t the case with Astell&Kern’s higher-end models; the company sent me the next model up, the AK 100 II, for comparison and its performance was always smooth. You can use the virtual scroll bar on the right side of the screen for faster scrolling through large collections of songs, but even then the interface can be unpleasantly jerky. 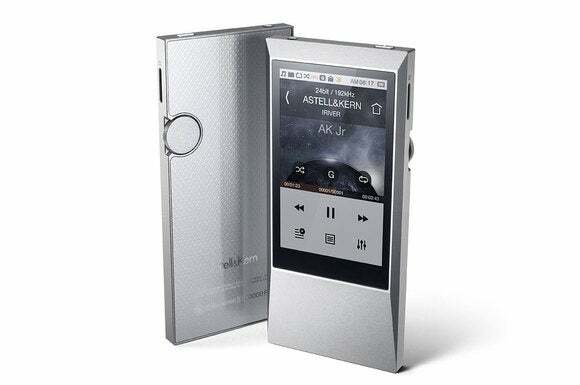 This is the AK Jr’s Achilles heel, and Astell&Kern knows it: A spokesperson told me an upcoming firmware update should help in this regard. The AK Jr’s home screen and overall user interface is intuitive and cleanly laid out. The AK Jr features the same user interface you’ll find on its more-expensive siblings: Icons are text are cleanly laid out. The interface is so well done that I was able to figure out pretty much every major feature without ever needing the owner’s manual. I would never mistake the AK Jr for an Apple product, but its designers did a good job. It’s easy to transfer songs to this player: Plug it into your computer and it appears as a hard drive. Copy over the music you want it to play and you’re done. The player will need to index the new files before you’ll be able to play them, a task that can be performed manually or automatically. Few computers are outfitted with low-noise, high-quality audio components. In fact, the audio outputs in most computers stink. Plug the the AK Jr. into one of your PC’s USB ports, and you can bypass all that noisy circuitry, keep the audio signal in the digital domain, and use the AK Jr’s DAC, instead. Plug in a pair of headphones or powered speakers and you have an excellent audio system. Mac users take note: The default audio output on a Mac is only 16-bit resolution at a sampling rate of 44.1kHz. Play a file encoded in higher resolution and it will be down-sampled to 16/44.1. If you want to play high-res audio files bit for bit on your Mac, you’ll need to change the sampling rate manually in the Audio MIDI setup, located in your Utilities folder; alternatively, you can use a program like Bitperfect with iTunes or JRiver Media Player to change the sampling rate automatically. I found the AK Jr to be an enjoyable high-res player. At this price point, I found little fault with its sound—it brought out audible benefits of well-recorded high-res music files, especially when compared to the same tracks encoded in AAC on iTunes. 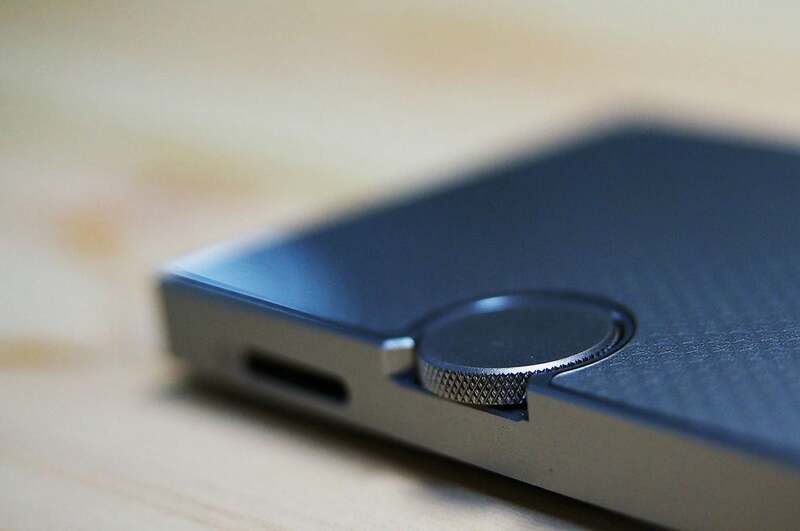 The Astell&Kern Jr has a discrete volume-control wheel on itsright side. I couldn’t resist the temptation indulge in some some classic Pink Floyd with the AK Jr and my B&W P7 headphones. The alarm clock assault on Pink Floyd’s “Time” from the DSD version of Dark Side of the Moon was rendered with superb detail and solid placement in space. While I’ve listened to Floyd’s Wish You Were Here for decades, there were times when I felt as though I was hearing details and layers in the song’s mix for the very first time. This was also true with Michael Jackson’s Thriller. I’ve never considered myself a Michael Jackson fan, but I was entranced by the complex musical textures and layers I could hone in on in song after song through the B&W P7s. On the title track, instruments were finely outlined with excellent separation, placed solidly in space and time. And what about Eddie Van Halen’s iconic guitar riffs on “Beat It”? They were simply an occasion to close my eyes and get lost in the music. I played the DSD version of Steely Dan’s classic album, Gaucho and compared it to an AAC-encoded iTunes version of the album that I purchased for comparison. I personally find AAC to be an efficient lossy codec. I’ll take it over high-bitrate MP3 anytime. Comparing the DSD and AAC versions, however, I found the DSD tracks to possess noticeably better dynamics, a cleaner midrange, and a more engaging presentation overall. On the DSD version of “Time Out of Mind,” for example, the cymbals had more sizzle and drums had more life and punch when compared to the AAC-encoded version. Those characterizations held true for just about every track on the album. Aside from a slow user interface and sharp bottom edges, we couldn’t find much else to criticize the AK Jr for. I played a host of other ALAC, FLAC, and DSD files largely without issue. Overall I found the Jr’s sonic signature to be very well balanced top to bottom, though it lacked that ever-so-subtle warmth and smoothness I found so appealing with the physically larger and significantly more expensive Questyle QP1R. A firmware update can’t come soon enough if it will improve the AK Jr’s sluggish responsiveness. Once that issue is addressed, this player will be an even better value proposition than it already is. That being said, if you are looking to dip your toe into the benefits of high-res music, value portability, and don’t want to spend an arm and a leg on an digital audio player, the AK Jr warrants a serious audition. Pair it with a good pair of headphones and I’m sure you won’t be disappointed. We love the AK Jr for its portability, strong feature set, and clean interface, but its sluggish responsiveness taints an otherwise great high-resolution audio value.